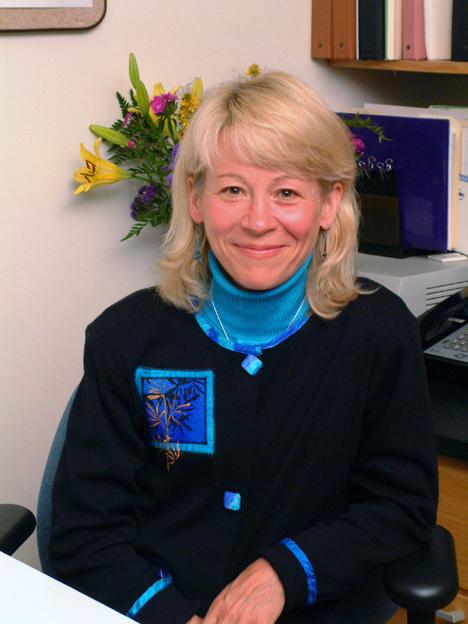 Geraldine Richmond is the Richard M. and Patricia H. Noyes Professor in the Department of Chemistry and Materials Science Institute at the University of Oregon. Richmond received her bachelor's degree in chemistry from Kansas State University and her Ph.D. in chemical physics at the University of California, Berkeley. Her research using laser spectroscopy and molecular dynamics simulations has focused on understanding the chemistry and physics that occurs at complex surfaces and interfaces that have relevance to important problems in energy production, environmental remediation, atmospheric chemistry and biomolecular surfaces. Over 150 publications have resulted from this research. She is the founder and chair of COACh (Committee on the Advancement of Women Chemists), an organization assisting in the advancement of women faculty in the sciences. Richmond has served and continues to serve on many science boards and advisory panels. Most recent appoinments include serving as Chair of the Basic Energy Sciences Advisory Board of the Department of Energy (1998-2003) and at the request of two Oregon Governors on the State of Oregon Board of Higher Education (1999-2006). 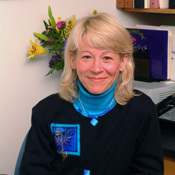 Recent awards for her scientific research include the American Chemical Society Olin-Garvan Medal in 1996, the Oregon Scientist of the Year by the Oregon Academy of Science in 2001, the Spectrochemical Analysis Award of the American Chemical Society in 2002, the Spiers Medal of the Royal Society of Chemistry in 2004 and a Guggenheim Fellowship in 2007. She has also been honored for her mentoring efforts by the Presidential Award for Excellence in Science and Engineering Mentoring in 1997, the American Chemical Society Award for Encouraging Women in the Chemical Sciences in 2005 and the Council on Chemical Research Diversity Award in 2006. She is a fellow of the American Physical Society and the American Association of the Advancement of Science and an elected member of the American Academy of Arts and Sciences since 2006.